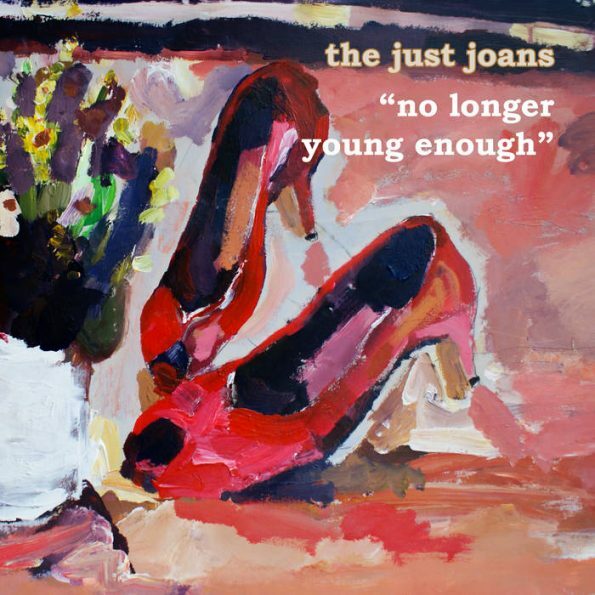 As if waking up and realising that it’s Friday wasn’t enough The Just Joans have only gone and released a new single today, their first for several years. 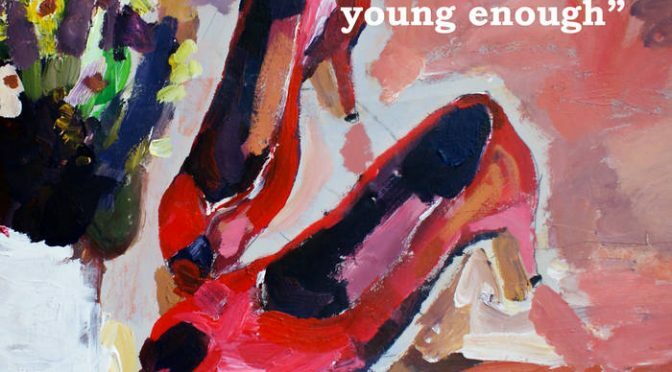 ‘No Longer Young Enough’ is four and a half minutes of indie-pop wonderfulness that is destined to be played on repeat by all who hear it. The sharp punchy intro instantly demands attention, picking the listener up before Katie Pope’s sweet vocal kicks in. With a classic girl group style singalong chorus giving the bittersweet lyrics a saccharine coating it’s a highly infectious offering that doesn’t falter from start to finish. Innocence collides with world weary self awareness and joy meets pathos as everything is neatly underpinned by a healthy dollop of humour. If this perfectly paced track and the accompanying flip side, ‘Breakfast for our Tea’ are anything to go by then the album due for release later in the year is going to be an absolute belter. Give your ears a treat and head here to purchase what is a triumphant return. For more info catch up with the Just Joans on twitter and facebook. Jenn and Laura-Beth, Bound for Southern Fried. 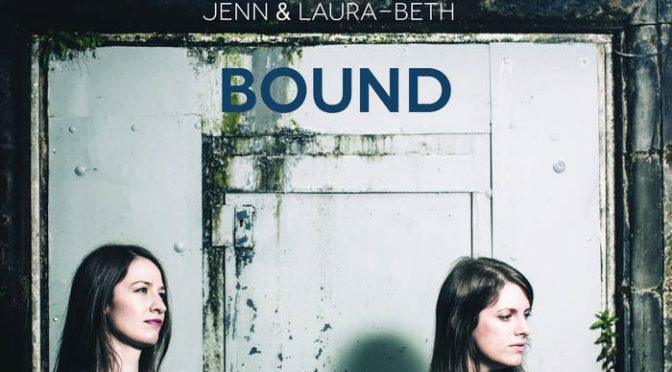 Released at the end of 2016, ‘Bound’ from Jenn & Laura-Beth is one of those albums that will sound fresh and new no matter how many times you play it. Having worked together for over eight years as stalwarts of the folk scene you would expect there to be a high level of understanding between the pair. They deliver on that promise and much more. The combination of Jenn Butterworth’s guitar and Laura-Beth Salter’s mandolin playing takes on an almost magical quality. With both musicians’ masters of their instruments, the understanding between them and subtlety of touch creates a remarkable sense of synergy throughout the entire eleven tracks. The same thing is true of the vocals. Whether they are singing individually or harmonising, the results are never less than uplifting. A mixture of self-penned tunes and cover versions, ‘Bound’ has been recorded as the tracks would be played live. With playing this good there really is no need for any additional studio trickery. Opener ‘Let the Sunshine Down on Me’ should be more than enough to get most listeners hooked. ‘The Braver One’ written by Laura-Beth Salter demonstrates perfectly why no additional instruments were required, Jen Butterworth’s guitar ably carrying out the duties of an entire rhythm section. The beautiful rendition of Boo Hewerdine’s ‘Wings On my Heel’ is an absolute delight, the unfussy instrumental backing allowing the vocals to shine brightly. Instrumental tracks such as ‘1, 2, 3, 4 / Joseph Salters’ are wonderful wee musical journeys which will leave the listener in no hurry to reach their destination. An atmospheric cover of Mindy Smith’s ‘Come to Jesus’ closes the album. It’s a gorgeous end to a collection which screams quality from start to finish, a genre crossing joy to spend time with. You can purchase ‘Bound’ here. 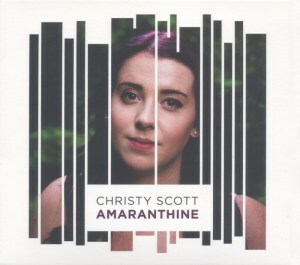 A random tweet recently pointed me in the direction of Christy Scott’s five track EP, ‘Amaranthine’ which was released back in February. Hailing from the North East coastal town of Buckie, Christy Scott makes a memorable first impression. Whilst the band accompanying her offer a traditional line up with fiddle and acoustic guitar to the fore Scott’s debut is closer to indie-pop than folk, an occasional injection of country adding to the pleasing nature of this collection. The opening track, ‘Hearts Collide,’ sees Scott’s sweet vocals ringing out over some very assured instrumental backing. As with all the other songs here it’s a tale of love. The themes may be familiar but Scott’s voice ensures everything remains fresh and interesting from start to finish. There are no vocal histrionics required, the warm tone of her voice and subtle phrasing making for a very pleasurable listening experience. Second track ‘Potion’ will have most listeners instantly hooked. One of the more up tempo songs, it’s an infectious couple of minutes that it is hard not to sing along with. The contemplative closing track ‘Hope Street’ is a downbeat tale of love gone wrong and may well be the real gem here. The plaintive ending is simple yet perfect as the singer laments that ‘it’s hard to let go.’ Hopefully we will be hearing a lot more from Christy Scott. You can buy Amaranthine here. Watch , love and share a performance of ‘Potion’ below. 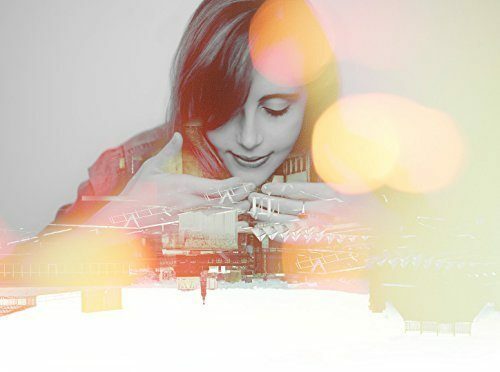 We reviewed Siobhan Millers latest album ‘Strata’ back in March so it was great to be able to catch her live at the Blue Lamp in Aberdeen as part of the Silver City Stramash festival. Drawing mainly on songs from ‘Strata’ Miller and her rather excellent band thoroughly entertained the full house from start to finish. Kicking off with, ‘Banks of Newfoundland,’ the singers captivating voice filling the venue beautifully. An early highlight was a wonderful version of ‘Green Grow the Rashes’ with Miller proving that Burns is not just for January. After a short break Miller returned to the stage to deliver a rousing version of Ed Pickford’s ‘Pound a Week Rise.’ Delivered with passion and integrity it was one of the standout moments of the evening. ‘Aged and Mellow’ saw Miller in playful mood, the sultry tongue in cheek style raising many a smile throughout the room. Dylan cover ‘One too Many Mornings’ was a joy and proof that choosing it as the lead single from the album was a wise choice. Miller closed proceedings with ‘TheRamblin’ Rover’, a suitably upbeat end to what had been a very satisfying set. You can read The Barley Boat’s review of Siobhan Millers latest album ‘Strata’ here.